Hell. Pain. Agony. Anger. Madness. To the point where you just start punching your steering wheel and try to rip off your car’s roof and scream until your forehead and neck veins burst and then cry like a crazy person. 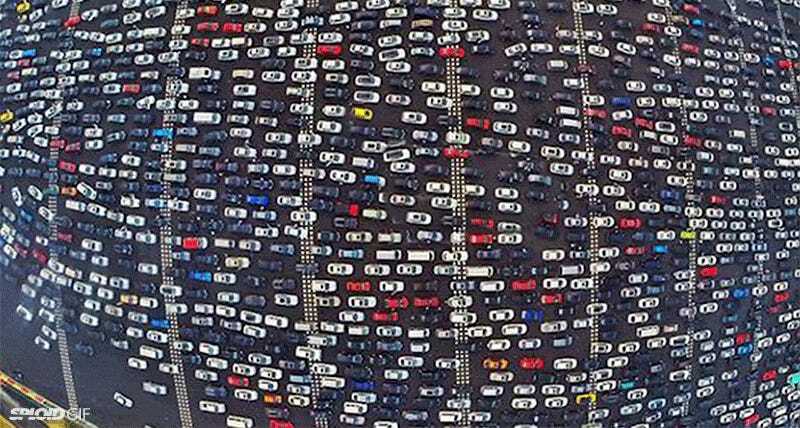 That’s what it must feel like going through this insane traffic jam just outside of Beijing, China. A checkpoint on the other side of the toll booth caused this ridiculousness to happen. Watch how horrible it was in the video below. This is what the end of the world looks like.